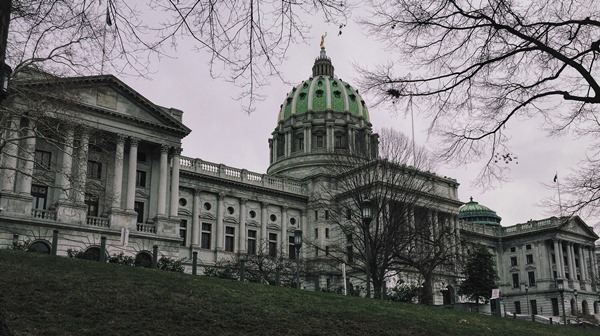 HARRISBURG, PA (WSKG) – On Tuesday, a state House bill that would overhaul congressional map-drawing was assigned to an unusual committee—circumventing a different panel where such proposals have repeatedly been struck down. It’s the latest in a series of spasms toward changing Pennsylvania’s oft-disparaged redistricting process. But lawmakers are quickly running out of time to close the deal. The new bill is the brainchild of Dave Reed—the GOP majority leader who is departing the House at the end of this year. Currently, congressional maps are drawn by the legislature and approved by the governor. Reed’s plan would create a randomly-selected citizens panel to operate sort of like a jury. It’s an idea he acknowledged is far afield of anything being considered right now. However, he thinks it might help identify compromises that could win over some skeptical House members. “This is just my initial thoughts on how to make the proposal that had been out there—maybe make it a little bit more workable,” he said. Usually the measure would go to the House State Government Committee—a conservative panel chaired by Butler County Republican Daryl Metcalfe, who opposes reducing lawmakers’ role in redistricting and has pledged to strike down any bill seeking to create an independent commission. But instead, it’s headed to the Rules Committee. Chaired by Reed himself, the group usually doesn’t do initial considerations on substantive bills. Meanwhile, a much longer-standing independent commission measure is expected to pass the onto the Senate floor Wednesday, and could make it to the House next week. It has garnered pushback from reform advocates because lawmakers recently amended it to let themselves pick commission members. Republican Senate State Government Committee Chair Mike Folmer noted there’s still room for tinkering. Reform advocates in all four caucuses have said they want to change the redistricting process before the commonwealth redraws its congressional maps in 2021. That means a hard July 6th deadline for lawmakers to somehow close the ideological gulf between the House and Senate and pass the measure through both chambers. If they don’t make it, the redistricting process stays as-is for another decade.